The most common causes of tooth loss are tooth decay and gum disease. You can help prevent these with good at home oral hygiene and regular professional teeth cleaning and dental check-ups. A hygiene and checkup appointment at Markham Steeles Dental Centre in Scarborough includes a thorough teeth cleaning and exam by one of our dentists. Our dentists will review your oral health history and general treatment plans, and recommend any follow up treatments - identifying issues like cavities that need to be filled or old fillings that need to be replaced - or preventive treatments like fluoride treatments. 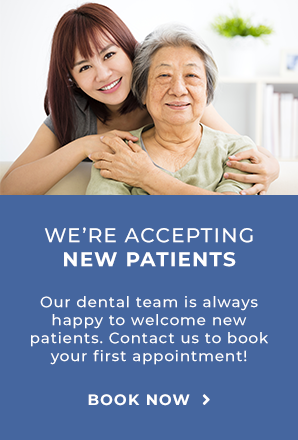 Our dentists and dental assistant will also help you learn more about your oral health - proper brushing and flossing habits, gum disease, tooth decay, dental sealants and the relationship between smoking and dental disease. You also have the opportunity to discuss any questions or issues you are having with your dental health. Our dentists may recommend dental X-rays to get a more complete picture of your oral health.